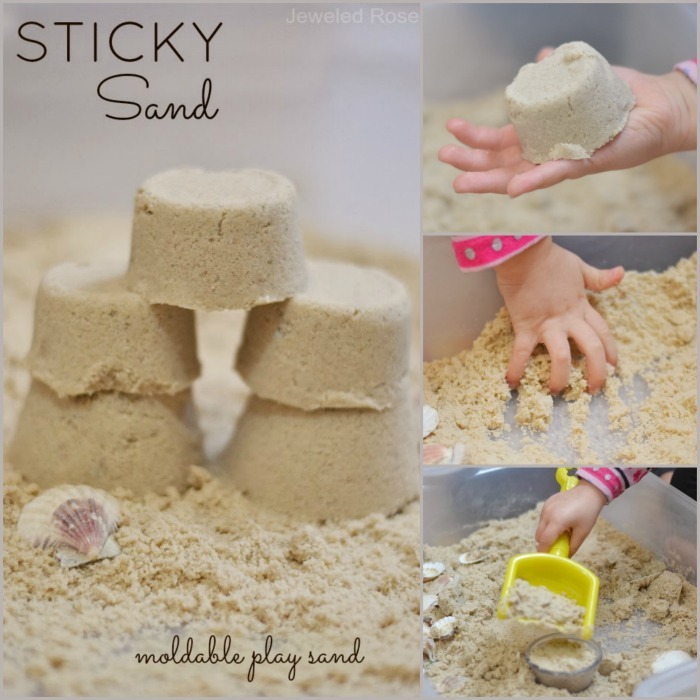 My kids had so much fun with this play recipe! They had a blast mixing the gooey ingredients, and when they were done we had a super fun play clay to create and explore with! 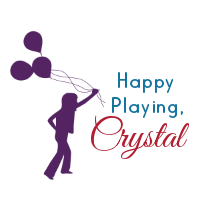 You won't believe what we used to make this play clay, either! Begin by cutting the crusts from the bread. I did this part for Rosie and Jewel and then set them up with a large bowl so that they could break the bread into pieces. 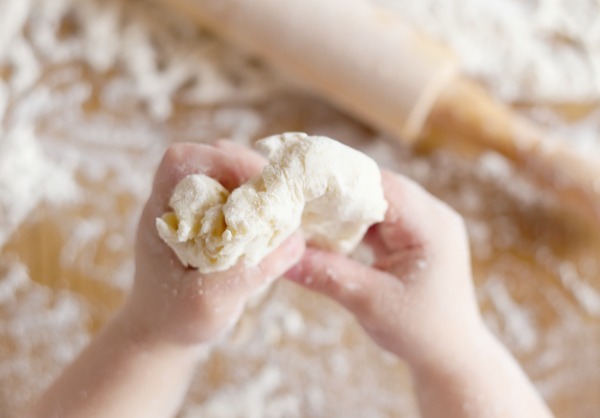 Have kids rip and tear the bread over and over; the finer the crumbs the better. 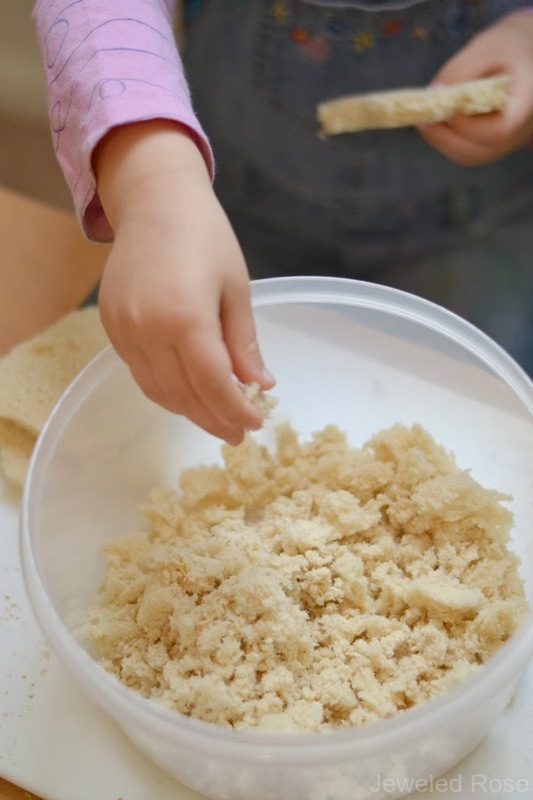 Once the bread is all broken up give kids the bottles of glue and let them squeeze them into the bowl. Rosie and Jewel had a lot of fun with that part. 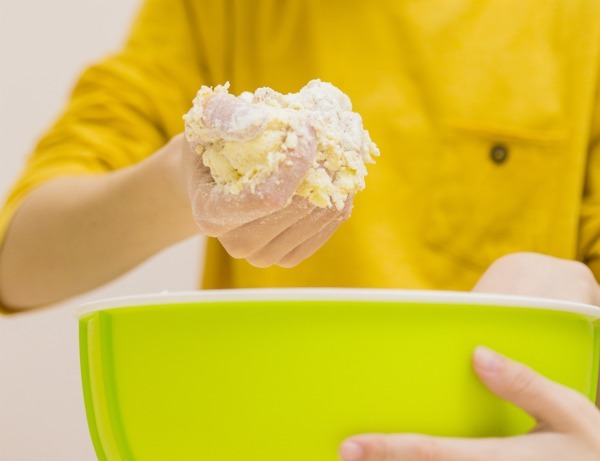 Continue to mix the ingredients in the bowl until the dough begins to form. If the clay feels sticky and isn't becoming pliable add more bread. Ours was a little sticky so we added two more slices of bread, and that did the trick for us. 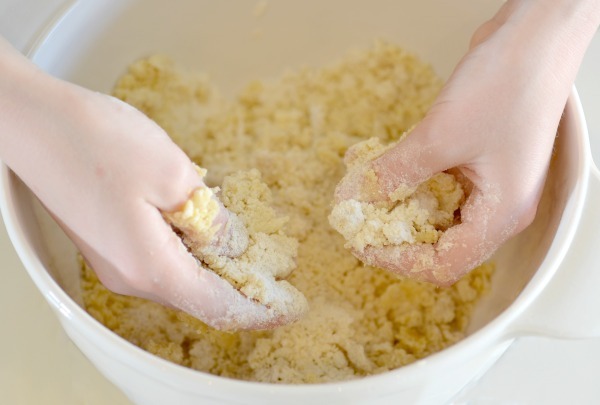 Once the dough is formed remove it from the bowl and knead it with your hands, sprinkling flour as needed. 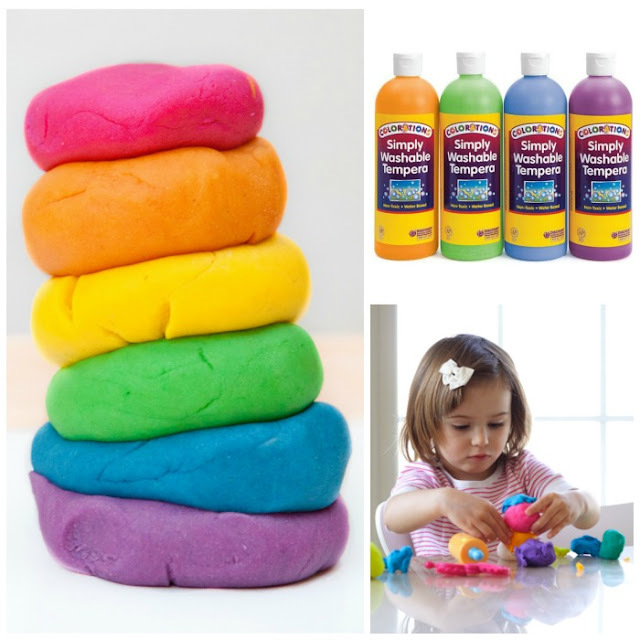 After a bit of kneading you will be left with a super fun and ultra stretchy play clay! 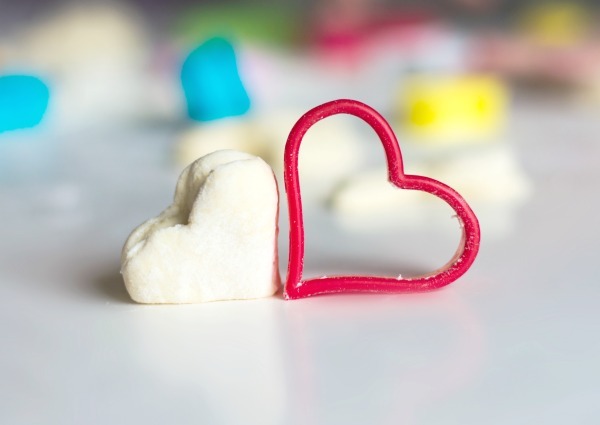 Add play dough tools, cookie cutters, and other gadgets, and the fun can begin! 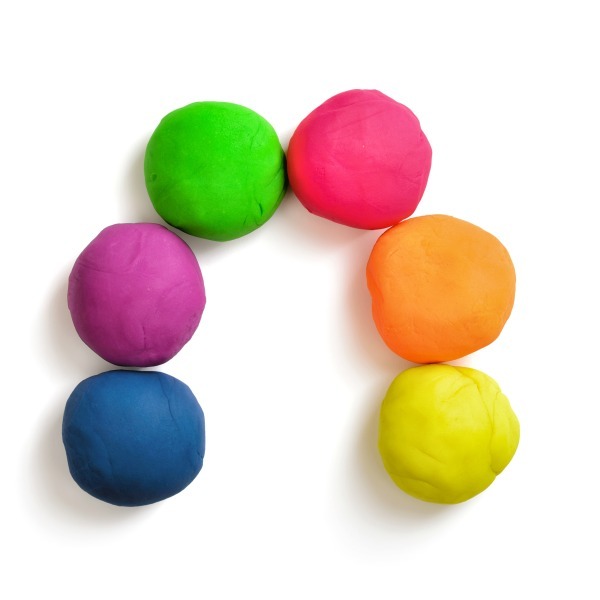 Want more than one color of clay? 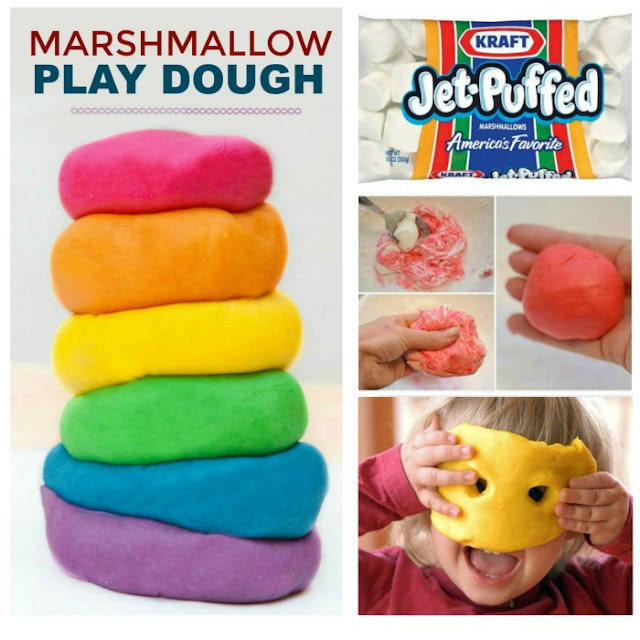 Divide the bread clay into bowls and add food coloring, using one bowl for each color of clay that you wish to make. 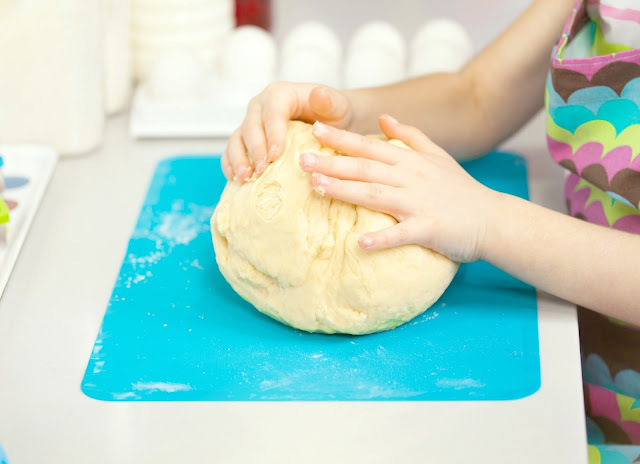 Knead the color into the dough, adding more food coloring until the desired colors are achieved.